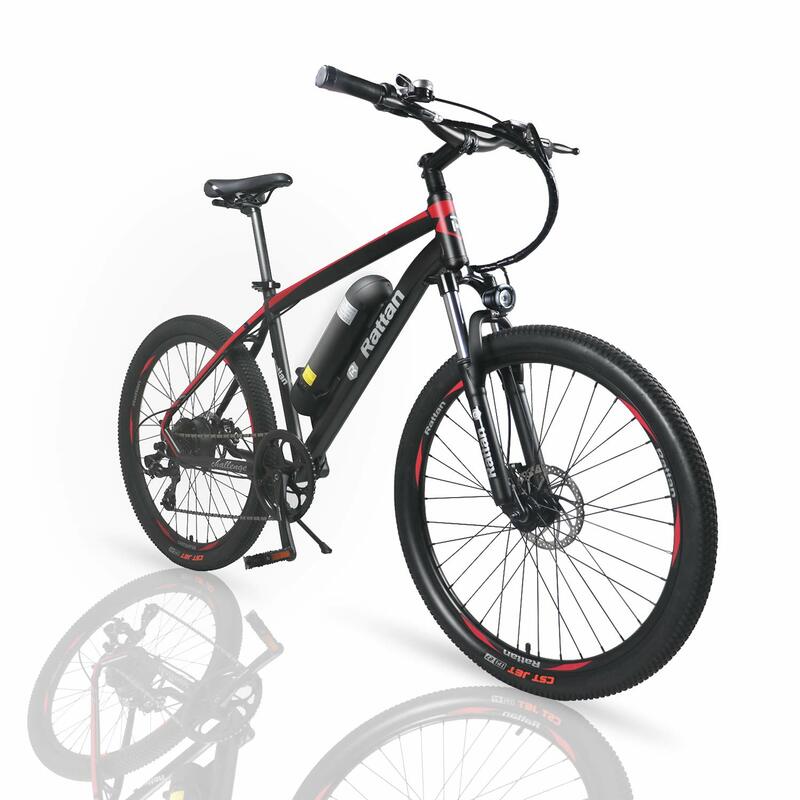 【Electric System】- This electric mountain bike has three working modes available: E-Bike & PAS & Bike. 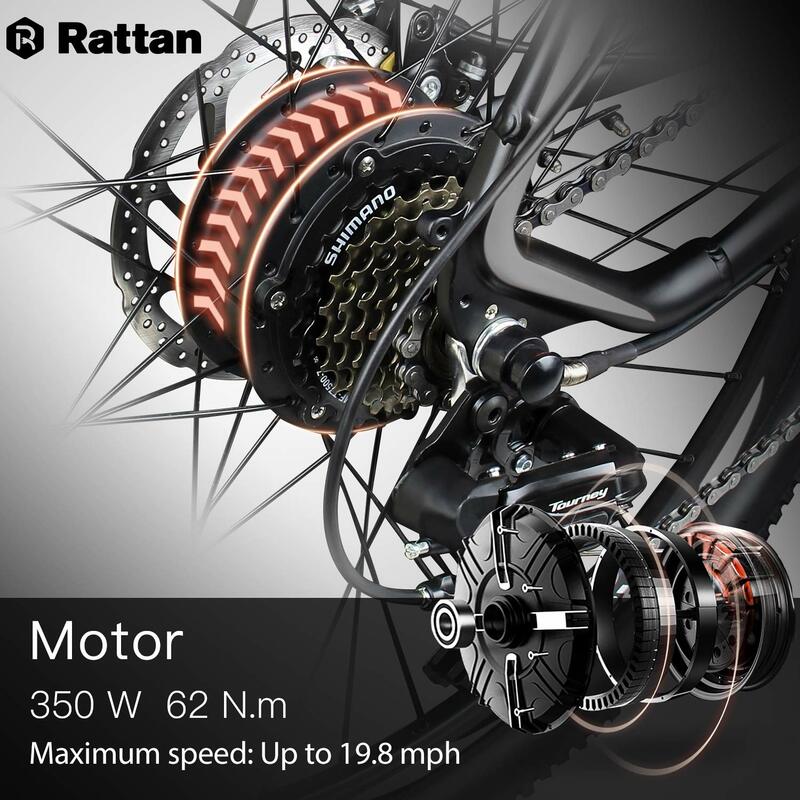 Engage the thumb throttle and enjoy a free ride. 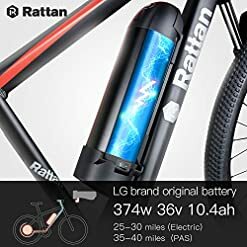 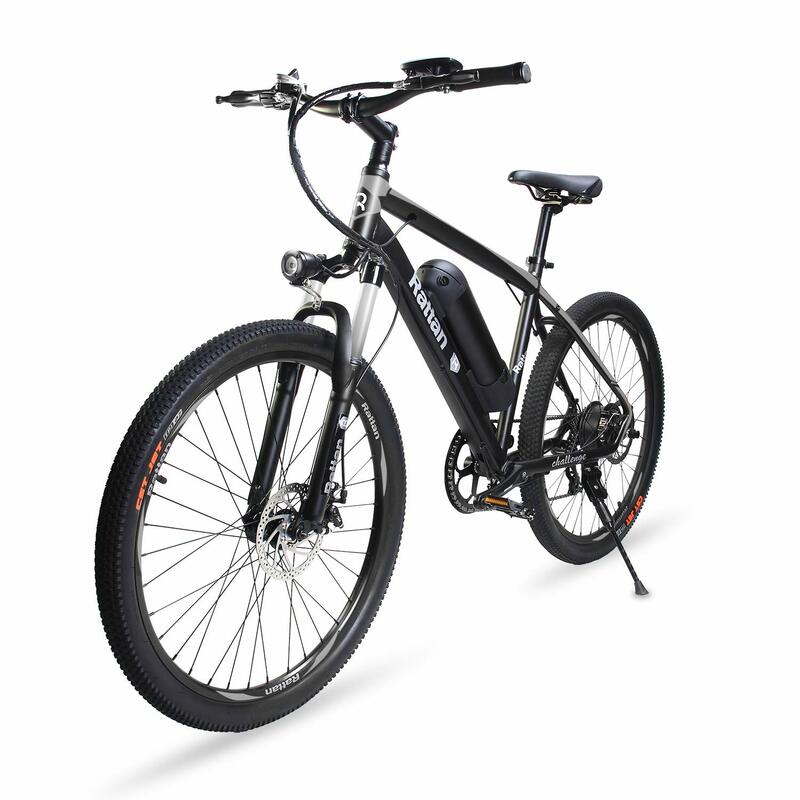 And the electric bicycle equipped with stable 350W high speed brushless gear motor and removable 36V 10.4Ah LG Brand Lithium-Ion Battery can get 25-30 miles (E-Bike Mode) to 40-50 miles (Assisted Mode) ridding under ideal condition. 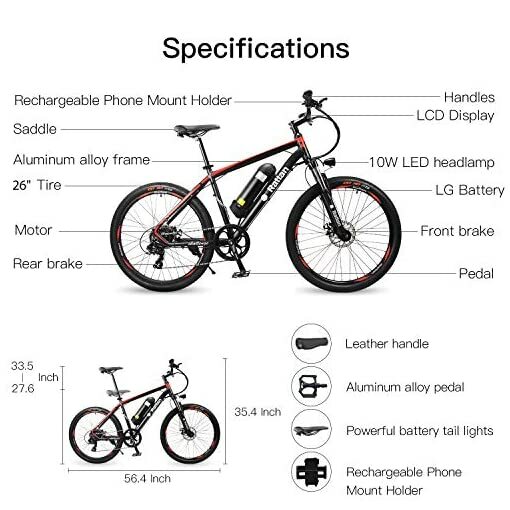 【High-quality Electric Mountain Bike】- The Electic Bike use 100% aluminum alloy frame, electrostatic baking varnish and hydroforming technology. 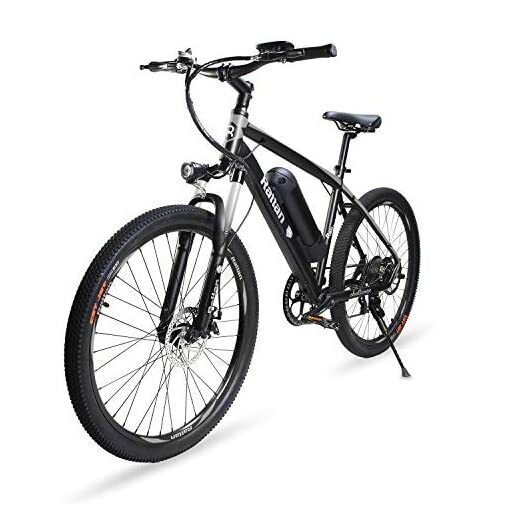 These material and technologies make the electric bicycle light, strong and designed to last. 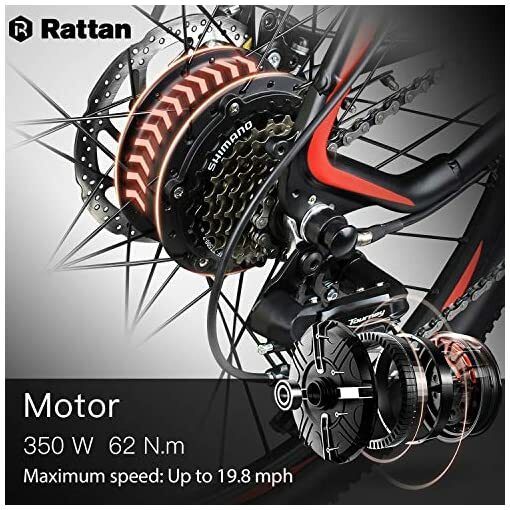 This wonderful E-bike also have quality anti-slip wear resistant tire tire and shock-absorbing front forks, which have a high grade cushioning effect and are very stable. 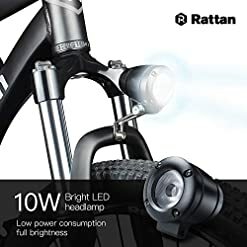 【Ergonomic Details Design】- Electric mountain bike have high grade digital meter and 10W Efficient electric headlight. The digital meter not only can change 5 different levels in assisted mode but also can show the distance travelled, real time speed, current battery power and so on. 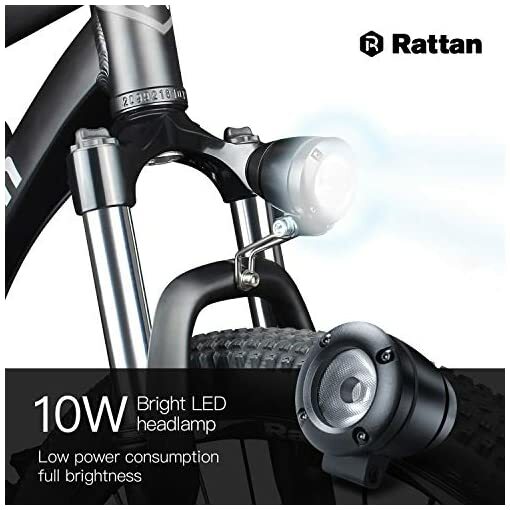 bright headlight make sure you have a better view at night. 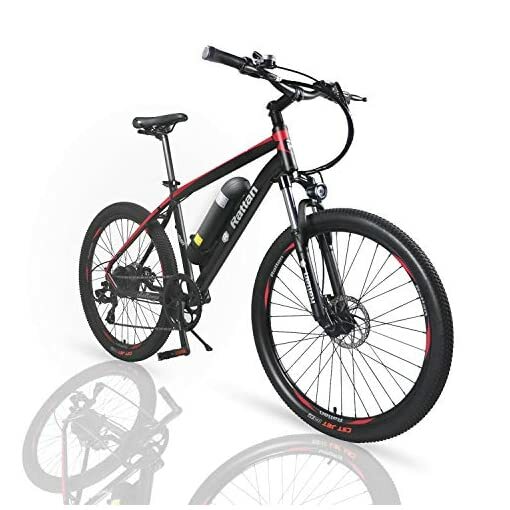 Our aim is to enhance the ultimate customer experience, Sell e-bike direct to the consumers in order to give customer the best price that everyone can afford. We pay great attention to customer satisfaction. 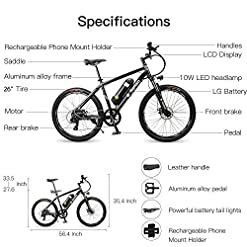 Any issues, please contact us. 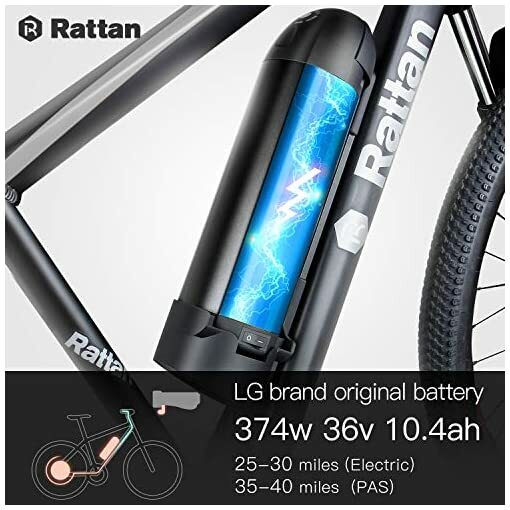 24 Hours online customer service. 【Shimano Gear Shift System】- Electric Mountain Bike equipped with Shimano 7-Speed classic transmission system which increases hill-climbing power, further range variation, and greater terrain adaptability. 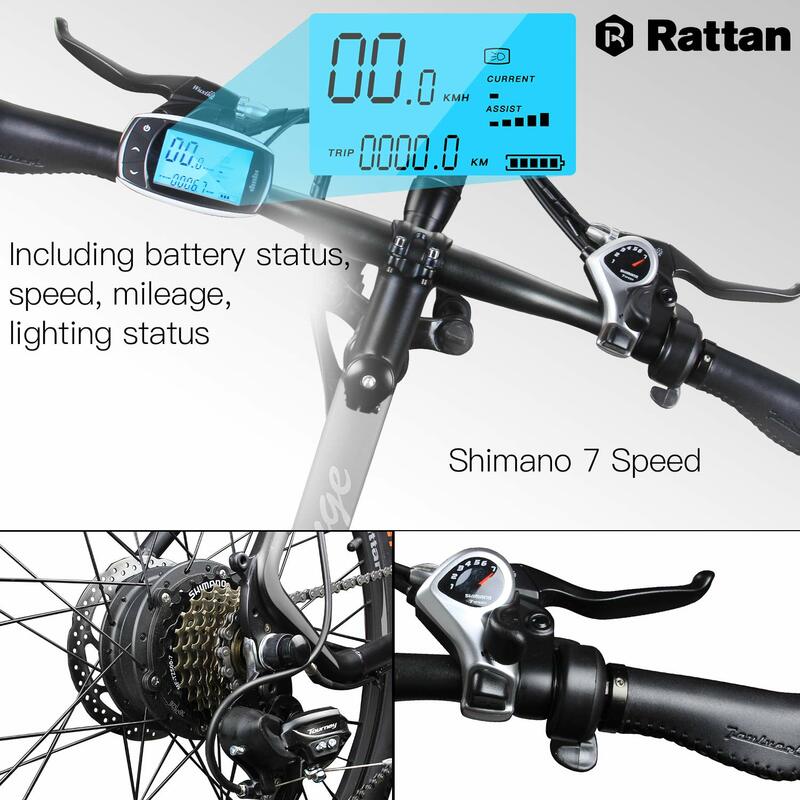 You can adjust suitable speed to complete your journey. 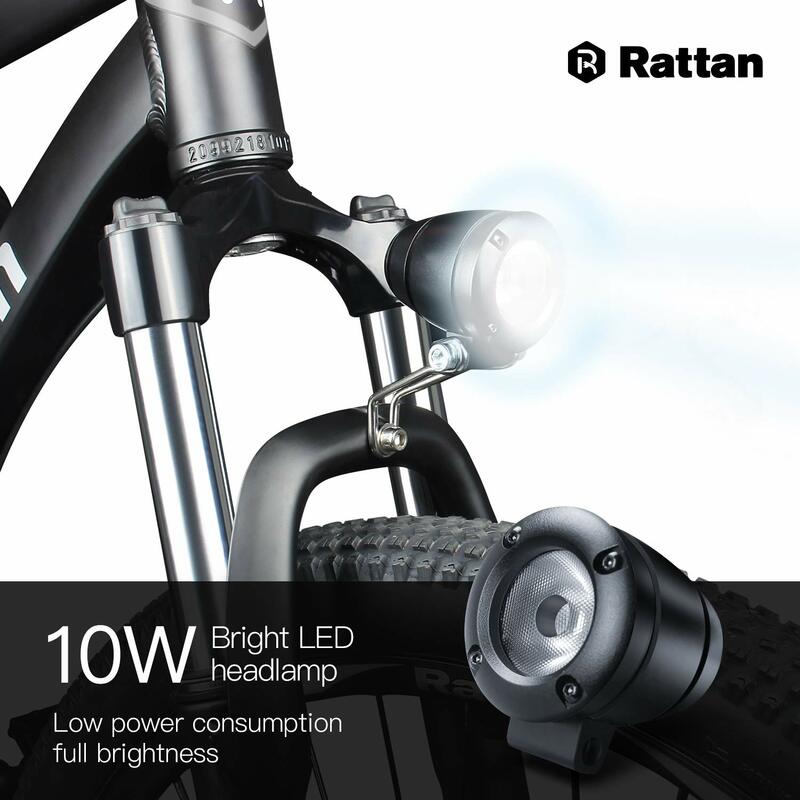 【Warranty】- With one-year warranty for the electric motor, battery and the charger, You’ve no Worry Using It. 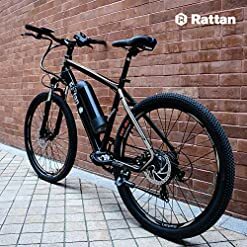 We have Confidence in Our Electric bike, and Believe you would like it. 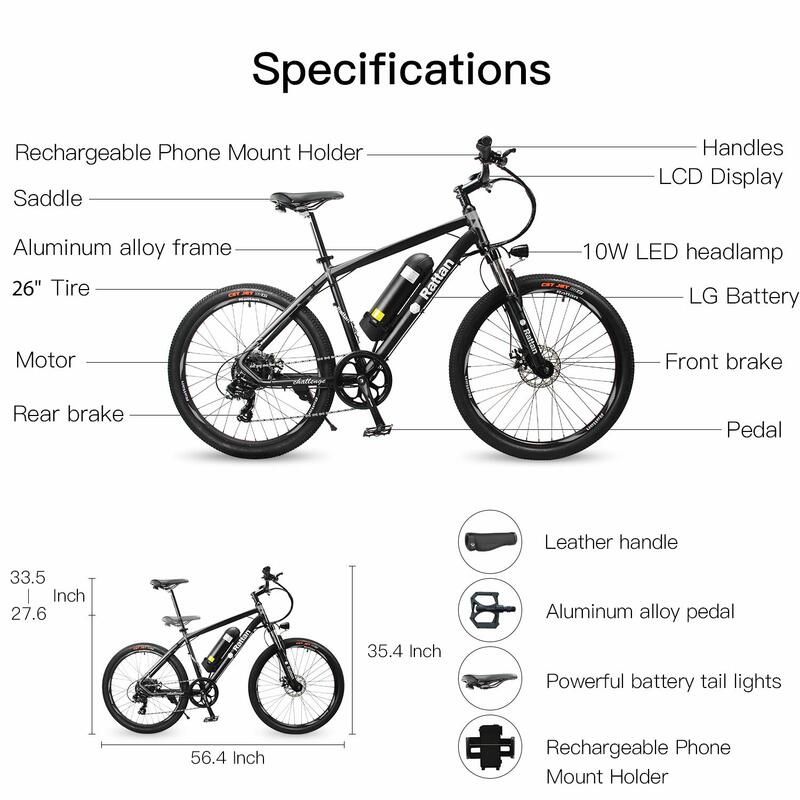 If you have any questions about our electric mountain bike in any time, Please contact us, 24 hours online customer service.